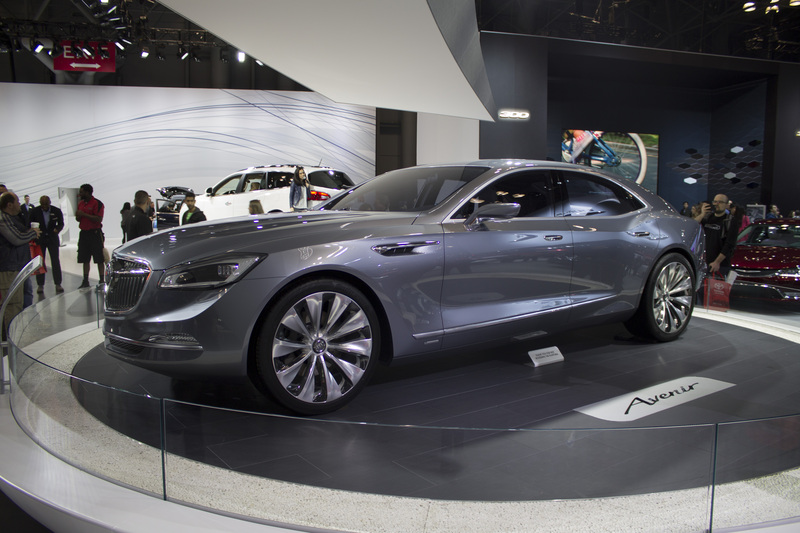 Meaning “future” in French, the Avenir is sure to be a next-generation car. Although details are far and few between, we do know that the concept model has a V6 engine (with auto stop/start and cylinder deactivation), mated to a nine-speed automatic transmission with paddle shifters. With classic good looks and curves reminiscent of Buick’s big bodied sedans, driver-selectable suspension damping and 21-inch wheels make this car a show stopper. Rumored to be built on the Cadillac CT6’s Omega platform, GM’s product-development chief Mark Reuss says the CT6 uses “a mixed-material architecture and is very flexible” — so mum’s the word for now. I’ve always been a fan of the XC90, for some reason. 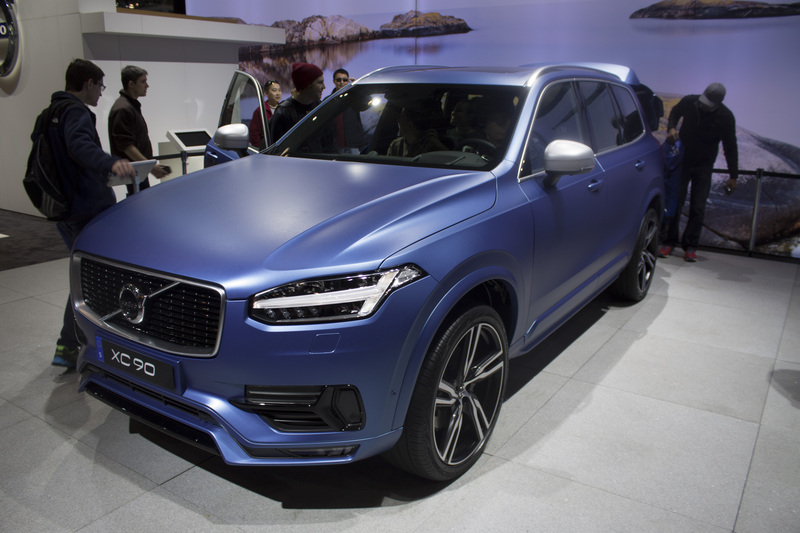 I’m not too sure what it is – maybe it’s the looks, maybe it’s the brand, but whatever it is, the 2016 XC90 made me an even bigger fan. Ranging in price from just under $50,000 to an est. $62,000 for the T8 model, Volvo’s crazy enough to use a turbocharger, supercharger and electric motor – all in one vehicle. The range-topping T8 model features a turbocharged, supercharged, and intercooled 2.0 liter inline-4 creating 316 hp and 295 lb-ft. of torque, with permanent magnet synchronous AC electric front and rear motors. Combined, they make 400 hp and over 470 lb-ft. of torque. It’s brutish looks also help it’s case. This I’m more excited about for the obvious — it should be a fun little car to drive. 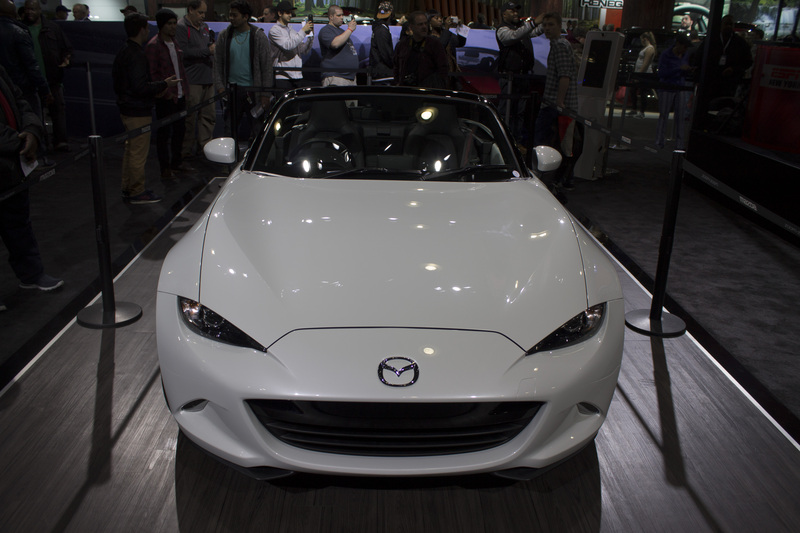 Keeping it’s weight down at just barely one ton, the MX-5 Miata does 0-60 in 6.5 seconds, all from a 2.0 liter, 155 hp I4. Although only a concept, the ZR2 is based off of the all-new Colorado with beefier styling, a stronger frame and extreme off-road performance. “From the bold stance to the trail-ready special equipment, the Colorado ZR2 is all about the fun of driving where the pavement ends”, says Tony Johnson, the Colorado’s marketing manager. A four-inch wider stance courtesy of a front and rear suspension lift, King off-road racing shocks, electronic front and rear locking differentials, integrated skid plates and 35″ off-road tires make the ZR2 the perfect mid-size truck to take off road. 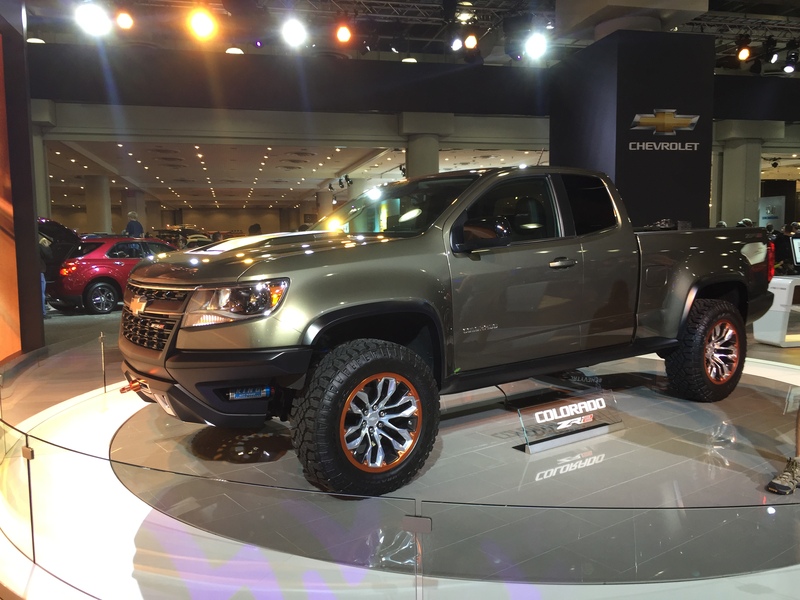 Even better – the concept truck is powered by a 2.8L Duramax Diesel engine, pushing 181 horses and nearly 400 lb-ft. of torque. If you can’t tell by now, I really like trucks and especially ones meant to go off-road, which brings us to the Ram Rebel. Although I’m not incredibly fond of the large 5-inch letters on the tailgate, I have warmed up more to the front grille design. With fenders from the current Power Wagon and 33-inch tires from Toyo, this truck means business. 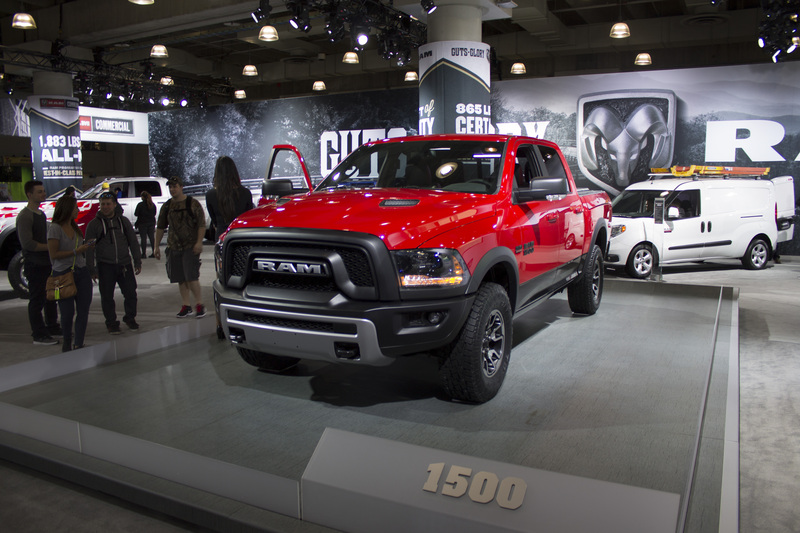 The Rebel comes with specially tuned Bilstein shocks, linked to the current Ram’s air suspension system. Two engines are available – the 3.6-liter Pentastar V6 (305 hp) or the 5.7-liter Hemi V8 (395 hp), mated to an 8-speed automatic transmission. Inside, seats are covered in a Sedosa fabric with Toyo tire tread embossings, bringing some of the outside influence, inside. I just really love the way it looks – I have a current-gen Ram 1500 and can attest to the power it puts down and the thrills it brings. Cadillac is making its entry back into the big-bodied rear-wheel-drive platforms. Armed with sharp angles and elegant design, Cadillac sets their sights on their German competitors. 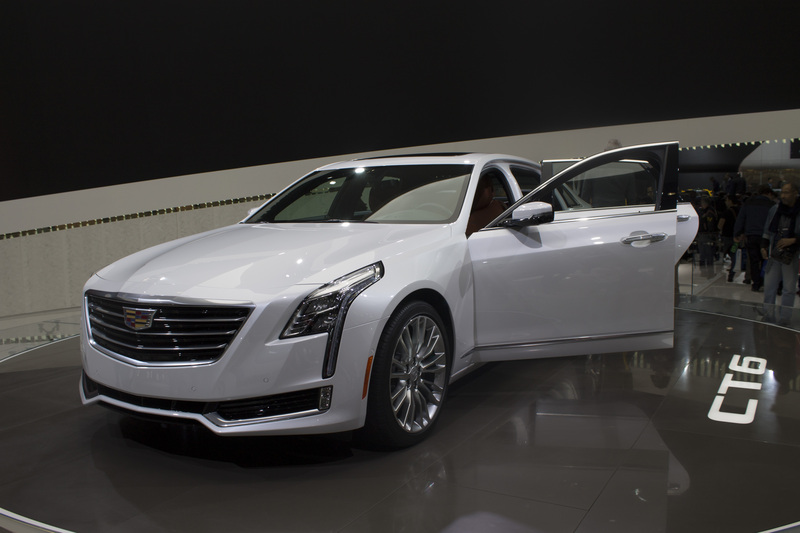 With all sorts of technology in the car including 4-wheel steering, multiple performance driving modes, night vision, magnetic ride control and an HD Rear Camera Mirror that allows 300 percent more vision that an ordinary standard mirror allows, the CT6 defines luxury merged with technology. Three engine choices will be available: a 265 hp turbo four cylinder, a 335 hp V6 and a 400 hp twin-turbo 3.0L V6; all will have an eight-speed automatic driving the rear wheels, with available all-wheel-drive. Finally, a hot hatch that comes to the states! 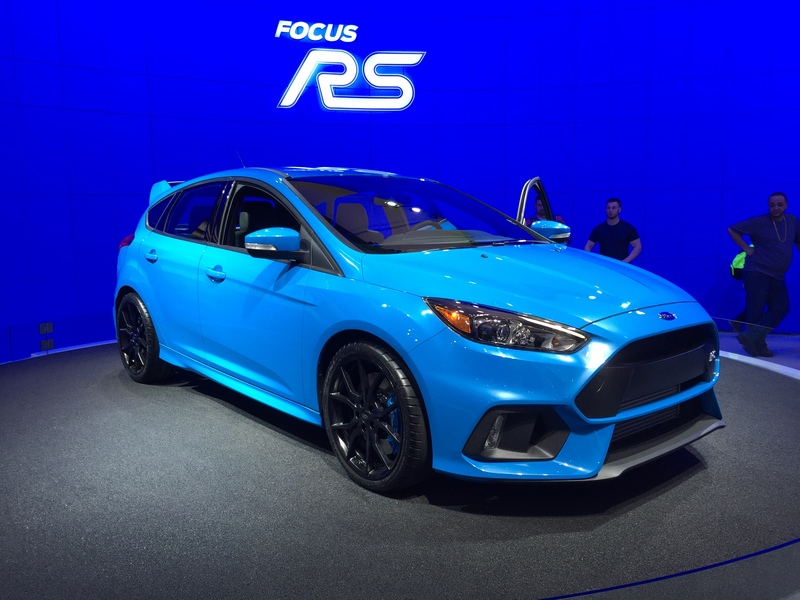 We’ve been waiting for a Focus RS for a while, and since our friends across the pond have been hooning them for years, we get ours (hopefully) soon. Ford has released few details BUT they did tell us it has the new Mustang’s 2.3L turbocharged EcoBoost four cylinder engine, although it has been uprated and promises to deliver “well in excess” of 315 horsepower. The EcoBoost’s turbo has been changed to a low-inertia twin-scroll turbocharger with bigger intercoolers. Torque-vectoring is also standard, with twin electronically controlled clutch packs on both sides of the rear drive unit; up to 70% of the output can be sent to the rear axle, allowing us “the ability to achieve controlled oversteer drifts at the track”, according to Ford. With all-wheel-drive and a six-speed manual as the only available transmission, 0-60 in the RS should absolutely be in the sub-5 second range. We can’t wait to get our hands on this. Ahh, the Ford GT. The pièce de résistance. The unicorn. Simply put, the Ford GT just needs to get here already. Yesterday, if possible. The GT features an EcoBoost twin-turbocharged, direct-injected 3.5 liter V6, with an estimated, rather, a promise by Ford, to produce over 600 horsepower with noted “EcoBoost” and “Powered by Ford” branding. 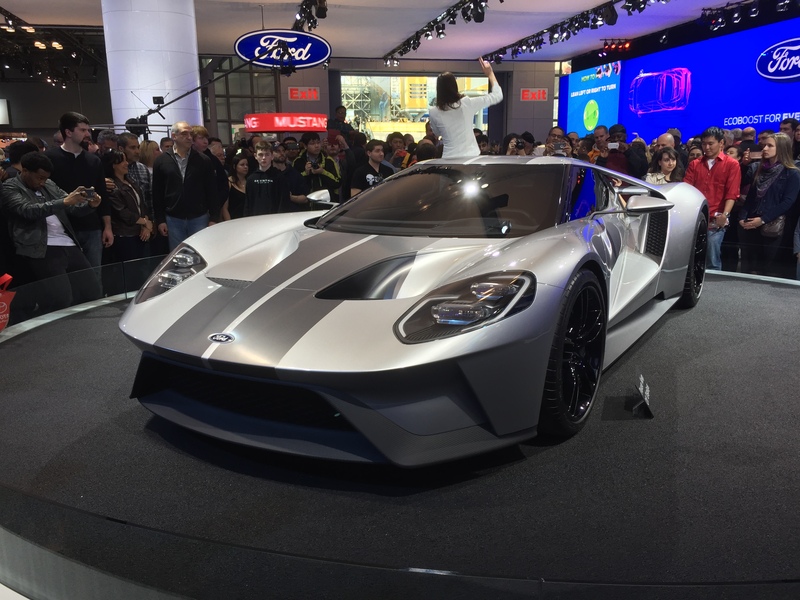 With the GT, Ford’s game plan is all about power-to-weight ratio – the carbon fiber in the GT’s chassis tub and bodywork will be hand-laid and Chief Engineer Jamal Hameedi said they want to have “the best power-to-weight ratio of any car on the market”. Ford also has taken the time to car about the details. The rear spoiler has the added function of being an air-brake, rising vertically and tilting to capture extra downforce and drag when needed. The taillights act as heat exchanges, where, after passing through fender-mounted intercoolers, newly heated air then flows to the GT’s tail where it exits through the centers of the taillights. A seven-speed dual-clutch automatic transmission, carbon-ceramic brakes, and 20-inch wheels wrapped in Michelin Pilot Super Sport Cup 2 tires keep this car on the ground. Sign us up for the waiting list.